On April 30, 1985, Michael Jordan accepted the NBA's Rookie of the Year honors. He averaged 28.2 points per game that season and led the Bulls to a playoff berth. 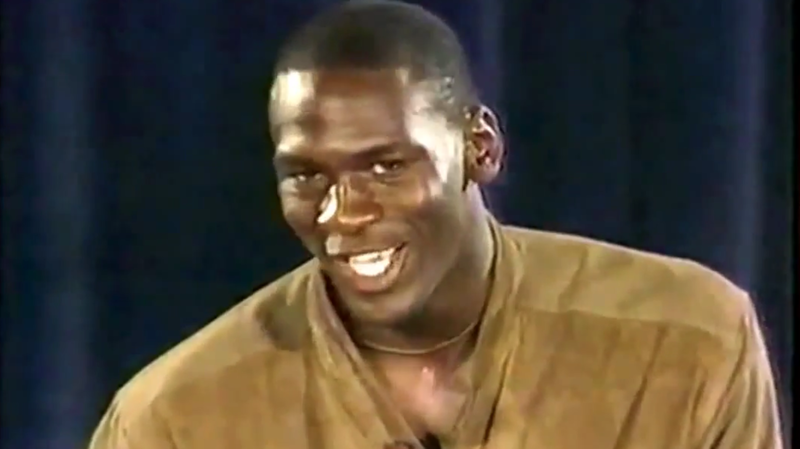 The Jordan hype was heavy, even in his first year, but it's fair to say he had no trouble living up to it. You can watch Jordan's short (and pretty funny) speech below. "Hopefully next year will be more promising," he says, "If not, maybe I'll retire after two years."